Soon after the creation of The United States of America, people within the original 13 states sought to gain more land than that provided by the new nation’s borders. Vermont, the 14th state, achieved statehood status less than a year after Rhode Island had become the 13th and final original state. Kentucky came next, Tennessee, then Ohio on March 1, 1803. This western expansion of the United States was a major aspect of its original foreign policy. That policy relied on the forced exodus and extermination of indigenous North Americans. Estimates of the number of indigenous North Americans killed range from the tens of thousands to hundreds of thousands or more. The U.S’s ruthlessness in executing its peoples’ expansionary desire led to the Mexican American War of 1846, which was sparked by the new Americans’ annexation of Texas. Fifty-two years later, in 1898, the United States gained territories for the first time beyond the nation’s continental boundaries by defeating Spain’s military colonizing of Cuba and the Philippine Islands. Although President Theodore Roosevelt allowed Cuba to declare its independence in 1902, the post-1898 history of U.S. involvement in both Cuban and Philippines Islands affairs is full of anti-democratic detail. In the Philippines, literally in the blink of an historical eye, the post-slavery United States transformed itself from a liberator to a colonizer of foreign peoples. 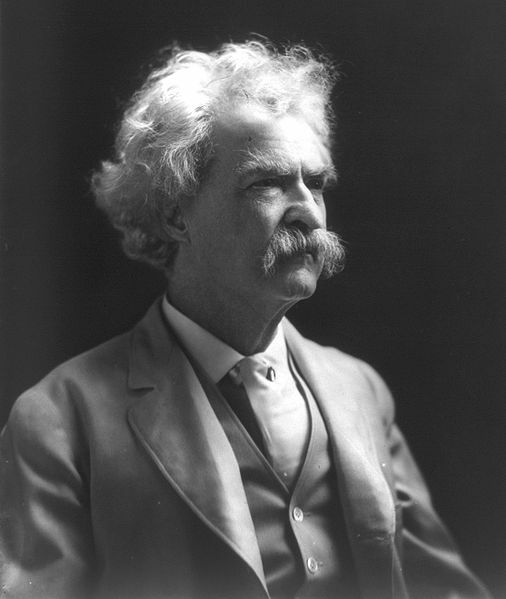 Mark Twain’s posthumous autobiography was published in 1924. Twain had begun writing his self history in 1897. In 1906, Twain wrote “Comments on the Killing of 600 Moros,” Moros being an indigenous Muslin people of the Philippines. In reading the following sections of Twain’s writing, we bear witness to but one of the atrocities we have committed against the human race. A tribe of Moros, dark-skinned savages, had fortified themselves in the bowl of an extinct crater not many miles from Jolo; and as they were hostiles, and bitter against us because we have been trying for eight years to take their liberties away from them, their presence in that position was a menace. Our commander, General Leonard Wood, ordered a reconnaissance. It was found that the Moros numbered six hundred, counting women and children; that their crater bowl was in the summit of a peak or mountain twenty-two hundred feet above sea level, and very difficult of access for Christian troops and artillery. . . . Our troops climbed the heights by devious and difficult trails, and even took some artillery with them. . . . Our soldiers numbered five hundred and forty. The battle began–it is officially called that by name–our forces firing down into the crater with their artillery and their deadly small arms of precision; the savages furiously returning the fire, probably with brickbats–though this is merely a surmise of mine, as the weapons used by the savages are not nominated in the cablegram. Heretofore the Moros hae used knives and clubs, mainly’ also ineffectual trade-muskets when they had any. General Wood was present and looking on. His order had been “Kill or capture those savages.” Apparently our little army considered that the “or” left them authorized to kill or capture according to taste, and that their taste had remained what it has been for eight years, in our army out there—the taste of Christian butchers. With Children They Mixed in Mob in Crater, and All Died Together. Death List is Now 900. So our men were at it for four days instead of a day and a half. It was a long and happy picnic with nothing to do but sit in comfort and fire the Golden rule into those people down there and imagine letters to write home to the admiring families, and pile glory upon glory. Those savages fighting for their liberties had the four days, too, but it must have been a sorrowful time for them. Every day they saw two hundred and twenty five of their number slain, and this provided them grief and mourning for the night—and doubtless without even the relief and consolation of knowing that in the meantime they had slain four of their enemies and wounded some more in the elbow and the nose. Lieutenant Johnson had pervaded the cablegrams from the first. Johnson was wounded in the shoulder with a slug. The slug was in a shell—for the account says the damage was caused by exploding shell which blew Johnson off the rim. the people down in the hole had no artillery; therefore it was our artillery that blew Johnson off the rim. And so it is a matter of historial record that the only officer of ours who acquired a wound of advertising dimensions got it at our own hands, and not the enemies’. It seems more than probable that if we had placed our soldiers out of the ay of our own weapons, we should have come out of the most extraordinary battle in all history without a scratch.